Whether you are wanting to determine passive characteristics about a website’s audience or fetch information from them proactively, it has historically been a difficult process. While determining the number of people who visit your website is relatively easy, figuring out more meaningful metrics has always been a challenge – until recently. The world of technology continues to produce more relevant and detailed tools for determining just how users interact with your website and what makes them interested in your brand. 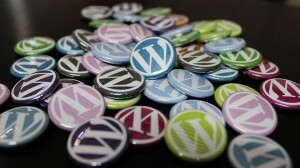 WordPress is a very popular content management system due to its versatility, which can be very helpful in this regard. Below, we’ll review a few WordPress plugins that can help you learn more about your audience in direct and indirect fashions. There are literally thousands of contact form solutions and plugins available across the web, but many have one critical flaw: they do not backup the responses submitted. If a contact form snafu occurs and the transmission does not arrive in your email inbox, then the submission is completely lost. Contact Form DB helps fix that potential problem. Not only does it help track each response or submission, but it can be used with a variety of existing contact form plugins. By connecting this plugin with your WordPress installation, the plugin backs up each submission on the same database as your website. At any time, you’ll be able to view and track any and all submissions through a given form, helping you to more effectively process requests – and ensure that none are ever lost! Has your site ever been hacked through a blunt force attack? Most WordPress sites by default do not feature technology that tracks each login attempt nor prevent users from attempting more than a certain number of incorrect password guesses in a period of time. Enter Login LockDown, which aims to change all of that. With this WordPress plugin, you’ll be able to track each and every incorrect login attempt on your website – complete with IP address – thanks to the plugin pinging links to your admin panel for each occasion. You can also set a specific number of login attempts in a given period of time before the user becomes incapable of repeating the process. In addition, this plugin offers users the ability to ban selected IPs if there is enough evidence to suggest they are attempting malicious logins.